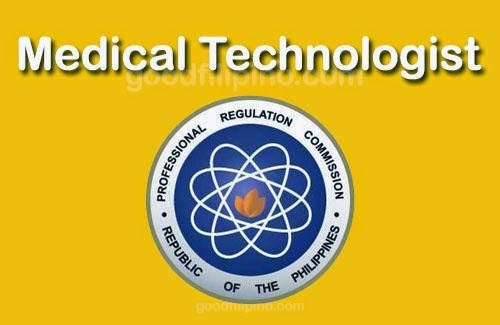 The Professional Regulation Commission released today the September 2014 Medical Technologist Licensure Examination Results which also popularly known as MedTech Board Exam Results (September 2014) held in the cities of Manila, Baguio, Cebu and Davao. PRC garnered a total of 2,986 successful passers out of 3,615 takers of Medical Technologist board exam. The members of the Board of Medical Technology are Dr. Marietta C. Baccay, the Chairman with Ms. Marilyn R. Atienza and Ms. Marian M. Tantingco, as the Members. The agency released the official results in three (3) working days from the last day of Medical Technologist examination. PRC also noted those who failed to pass the board examination for Medical Technology but had a general rating of at least 70 percent, can now register as Medical Laboratory Technician. For more information about the September 2014 MedTech Board Exam Results, please kindly share to your joined social networking sites. Comments or suggestions about "September 2014 MedTech Board Exam Results - List of Successful Medical Technologist Passers" is important to us, you may share it by using the comment box below.